Erwin Hauer has spent his life perfecting architectural screens and sculptures that celebrate the infinite continuous surface, known as Modular Constructivism. His light-diffusing walls and room dividers have been lauded as “quintessential works of modernism.” Spinneybeck’s newest Erwin Hauer Studio collaboration stays true to Hauer’s medium of choice for much of his career—cast gypsum plaster. 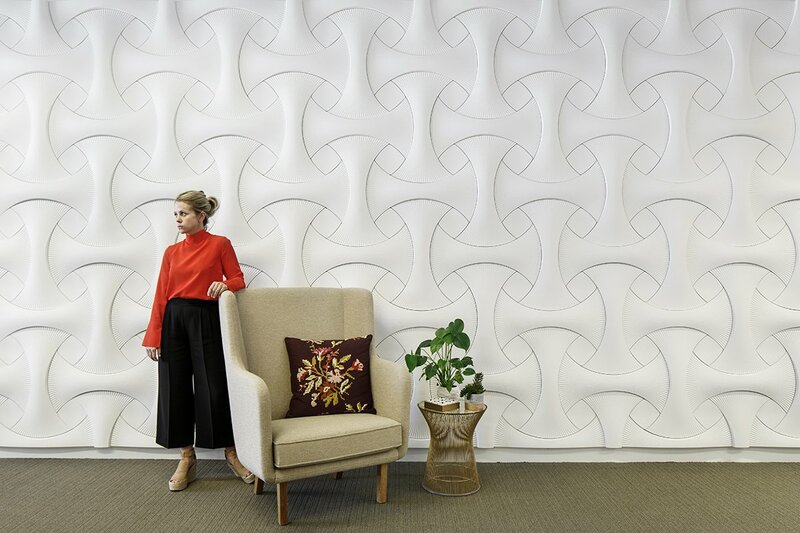 This modular wall system includes six tile shapes that form one standard configuration available in three pattern scales. The tiles come standard with a primed finish and can be painted in the field with any commercial latex paint.